Earlier this year, 16 apprentices employed through the Industry 4.0 Higher Apprenticeships project travelled to Germany to extend their understanding of technological developments and to partner internationally with other apprentices on a virtual collaboration project. 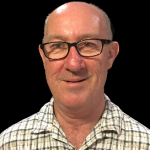 The Industry 4.0 Higher Apprenticeships project is funded by the Australian Government and managed by Ai Group. Apprentices are employed by Siemens Ltd and trained in an Associate Degree in Applied Technologies by Swinburne University of Technology. This qualification covers many of the new technologies that come under the Industry 4.0 umbrella – Industrial Networking, Cloud Computing, Object Orientated Programming and Cyber Physical System Integration to name a few. The apprentices commenced their visit in Berlin, where they attended a reception at the Australian Ambassador’s residence and met the Australian Prime Minister and Mrs Turnbull. They then started their collaboration project, working with apprentices in Berlin and connecting virtually with apprentices from India. 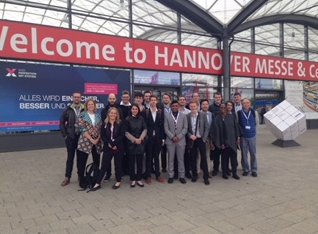 From Berlin the group travelled to Hannover, where they attended the Hannover Messe for two days. The Hannover Messe is one of the world’s largest trade fairs for industrial technology and attracts more than 5,000 exhibitors and more than 200,000 visitors. Highlights of the visit included the predictive maintenance exhibits, digital twin technologies and the robotics and advanced manufacturing spaces. The visit finished up in Munich, where the apprentices visited Siemens’ head office; Maschinenfabrik Reinhausen, a company whose core business is in regulation of power transformers; and Erdinger Brewery, which included some sampling of the company’s products. Much organisation went into the visit, but all who participated, including representatives from Siemens, Swinburne University and Ai Group, thought it was highly successful.